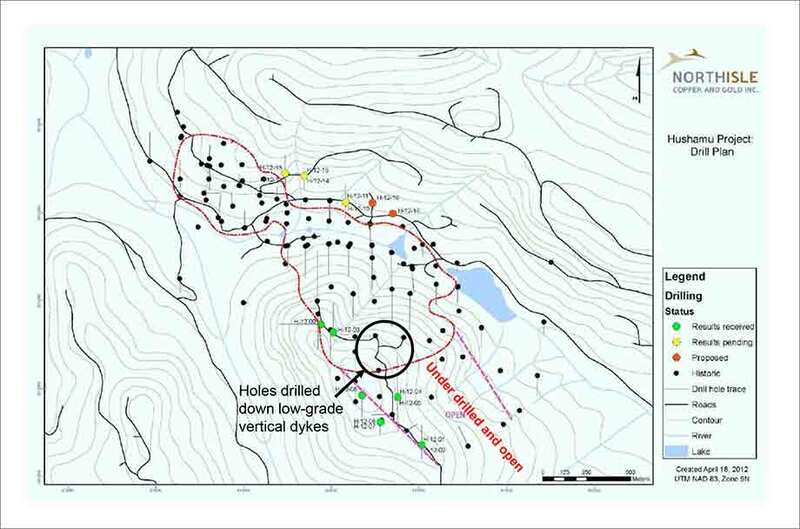 The Hushamu Deposit is a high level telescoped porphyry copper-gold-molybdenum system containing a significant rhenium content. 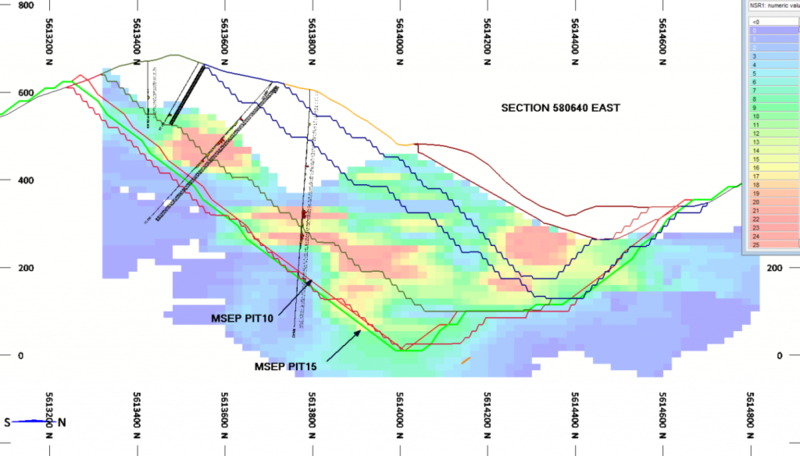 The deposit forms a tabular northerly dipping body approximately 1.5km long and 0.7km wide with a thickness of 200m. The mineralized zone remains open for approximately 300m to the southeast, but is cut off by a post mineral fault to the north. The deposit is centred on a complex of breccias associated with Mesozoic intrusions. The oldest and lowest alteration in the system is a potassic phase of secondary biotite, lesser Kspar and magnetite. The potassic alteration is largely overprinted by chlorite – sericite alteration, which in turn is overprinted by advanced argillic alteration of pyrophyllite, sericite and pyrite. Later weathering has formed a leach capping over the southeastern part of the deposit. Beneath the leach capping is a weak zone of secondary copper mineralization. NorthIsle is carrying out preliminary engineering and metallurgical studies with the objective of completing a preliminary economic evaluation (PEA) in early 2017.